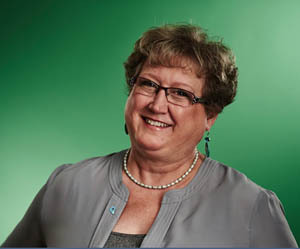 Hampton proton therapy patient stories: Their treatment, their experiences. In a changing world, most can say that they have a story, but only few can say they beat the disease that doctors are constantly trying to cure. Cancer is one word that, nine times out of 10, makes an individual go through a cycle of continuous pondering and extensive assessment. Some may wonder how their legacy will continue on or how long it will take to complete their bucket list, but one immediate and common thought for any patient is the possibility to not live longer than intended. In other words, cancer is one of those things that scream "death threat." Although these are concerns to think about and plan for, survivors like Deborah Owens (pictured right), of Chesapeake, Va., will reassure that there are more than a few options for hopeful recovery and survival. "I am a busy mother of three girls," she said. "I wanted to be able to see my daughters grow up. I wanted to be able to witness all their milestones. I researched proton therapy and when I saw the experience and expertise of the physicians and staff at the Hampton University Proton Therapy Institute, I began to feel at ease." Owens battled with a brain tumor. Proton therapy at the Hampton University Proton Therapy Institute stands as one of the most innovative approaches when it comes to treating cancer patients. Since the Institute's launch in 2005, President William R. Harvey has made this an annual and ongoing project. HUPTI's ultimate mission is to give complete cancer care in order to save the lives of potential survivors. According to general information from their available online website, this establishment ensures that they are "committed to furthering these advancements by providing the most up-to-date, effective technologies available to our patients and the entire cancer community." Medical Director Christopher Sinesi, MD said, "Thanks to the vision and perseverance of Dr. Harvey, the driving force behind the center since its inception, Hampton Roads has joined a small, elite group of cities that offers this vitally important cancer therapy." Along with 15 other operating institutions in the country and those in construction and development, HUPTI has serviced thousands of patients with numbers rising annually. Some of the alternative and successful facilities include: MD Anderson Cancer Center's Proton Center (Houston), Mayo Clinic Proton Beam Therapy Program (Rochester, Minn. ) Ackerman Cancer Center (Jacksonville, Fla.), Willis-Knighton Health System (Shreveport, La. ), Scripps Proton Therapy Center (San Diego ), SCCA Proton Therapy and A ProCure Center (Seattle). As a result of Harvey's hard work and consistent dedication, many patients have overcome this brutal disease and have publically shared their stories via online. Oral cancer survivor of 2013, Jenica Harrison of Richmond, Va. says, "At the IMRT (Intensity-Modulated Radiation Therapy) center, I felt like I was just another patient to them, not a unique individual. However, I felt welcomed and cared for from the moment I first stepped into HUPTI." Other cancer patients who shared their stories were males who, in addition to proper treatment, were able to find "the good" in cancer. Donald Sherard, prostate cancer survivor from Chesapeake, Va. says, "After speaking with the doctors at the Hampton University Proton Therapy Institute, we were both convinced that proton therapy was the right choice for me. I was amazed that I didn't have any side effects during the process. My insurance covered the treatment. I didn't have any out-of-pocket expenses. Proton therapy helped me maintain my active lifestyle and actually brought my wife and I closer together." Taking extra time away from the job is also something that causes patients to become discouraged and potentially depressed because of inconsistent income. With new technology like proton therapy, patients are able to live their normal lives with minor setbacks. David Lum, 4-year prostate cancer survivor from Williamsburg, Va. said, "I went to work every day during my treatment with no side effects. I am so happy I met these great people at the HUPTI." In addition to cautious and extreme care, HUPTI encourages and applauds each survivor by ringing a large completion bell in celebration of their completed journey or graduation from the institute. This ensures that the institute's main goal is to treat their patients correspondingly, but to influence positivity, encouragement, and be an overall support system until time sees otherwise. HUPTI is on a mission to save as many lives as possible, just one proton at a time.